Below is an alphabetical list of homeschool support groups throughout Alabama. If you would like to add your group to our list, you will need to send us your information. To have your group information changed or removed, please contact us. Birmingham Area Unschooling Parents (BAUPS) is open to all Birmingham (Alabama) area homeschooling parents. Most members are relaxed homeschoolers or unschoolers, but all are welcome. Their focus is support and planning of activities. They are tolerant of all religion and request that new members keep that in mind when joining. Calhoun and Etowah Homeschoolers is a list for homeschooling families in Calhoun, Etowah, and surrounding counties to connect, no matter which cover school is used. They may not all follow the same teaching philosophies, but they all are working towards the same goal, which is teaching our own. Please keep this in mind when posting. Central Alabama Family Educators Home School Support Group (CAFE) is for homeschoolers in Moody, Leeds, Pell City, Trussville and surrounding areas. This list is open to all homeschoolers regardless of their school, religion, etc. They have several different activities, field trips, co-ops, and park days. While the group is open to anyone who is interesed, most activities will be focused in the above geographic areas. Central Alabama Independent HomeEducator (CAIH) is open to anyone home educating, or interested in home educating, but primarily they are interested in home educating families located in or near Central Alabama. As the name implies, this group is primarily for those who have chosen to home educate under their own umbrella, without the use of a cover school. As such, it is their goal to use the group as a tool to meet parents in similar circumstances to discuss issues, curricula, challenges etc. Christian Home Educators of Cullman (CHEC) is an organization comprised of Christian homeschooling families having the intent and purpose to provide support and encouragement to other homeschooling families in the Cullman and surrounding areas through fellowship, communication, field trips, educational classes, and other activites. DeKalb County AL Homeschoolers ia a list for everyone who homeschools in DeKalb and surrounding counties. 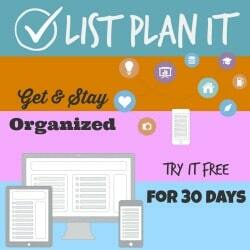 This purpose of this list is to allow area homeschooling families to connect, no matter which cover school is used. EAHomeSchoolers was created to bring together homeschooling families in and around Lee County Alabama. They would like to plan field trips around the area & possibly extended field trips as the group grows. You do not have to live in AL to be a member! Anyone within about an hours drive to the Auburn/Opelika area is welcome to join! This link will take you to their website that was created to to help promote the EAHomeSchoolers Yahoo group.